It's August and it is the peak of summer in the northern hemisphere. Time to kick back and get as much sun as possible, hang out with your friends and enjoy life. Great Stuff provides you with the perfect soundtrack for all of this. 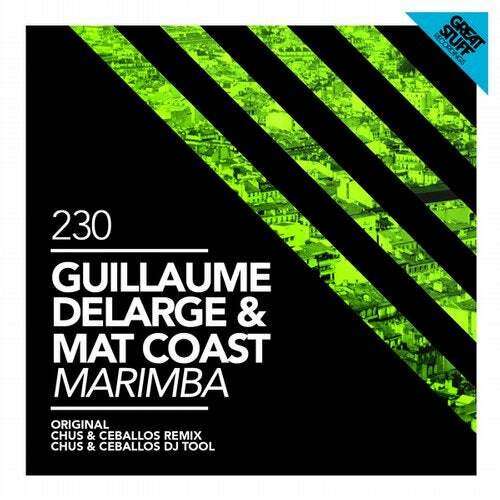 Guillaume Delarge & Mat Coast both from hailing from scenic France, to present us with "Marimba" a track that has summer stamped all over it. It features a thick groove underneath a beautifully sculptured marimba melody that you can listen to over and over again. The licks, smooth percussion and strings make it all even more special. On remix duty is the Spanish dynamic duo Chus & Ceballos, who transform the original into a prime time club bomb. They embedded the marimba patterns into an incredibly well built construction of beats and bass. Keeping the original vibe, while providing a totally different energetic vibe - well done!